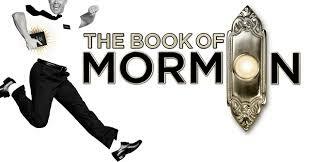 Those who didn't win "Hamilton" lottery tickets will have better odds of winning tickets to another "Best Musical" winner "The Book of Mormon" at the Orpheum Theatre. "Mormon" has played the Twin Cities several times since it won nine Tony Awards in 2011, unlike Hamilton's Twin Cities debut this summer. Tickets are regularly $29 to $155 except for those whose name is drawn in a lottery two hours before curtain time. They can purchase 1 or 2 tickets for $25 each (cash only). About 50 to 100 people typically show up to claim the extra tickets. People bring their significant other or friend to the drawing to increase the chances that one of their names will be drawn. Hennepin Theatre Trust communications manager Dale Stark said the number of people signing up for the lottery or student rush decreases in bad weather and increases later in the show's run. Here's how it works: Two and one-half hours before show time, people can obtain a drawing ticket to print their name and the number of tickets desired on it. The drawing is held two hours before the show starts. Winners must be present at the time of drawing to claim the tickets. They must show ID, which will be checked when the tickets are redeemed, to discourage winners from scalping. Seat assignments given to each winner are random, so the first person's name to be drawn doesn't necessarily get the best available seats. Student rush tickets at $30 to $40 are also available for educators and students with a valid ID. The shows runs Tuesdays through Sundays through Nov. 18. It features book, music and lyrics by "South Park" creators Trey Parker and Matt Stone.